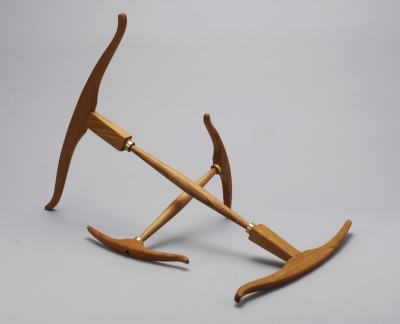 Our take-apart Niddy-Noddies follow the graceful lines and curves of a circa 1800 antique. Made of solid cherry with brass rings at the center of each arm, the three pieces — stem and two arms — are designed to travel easily and fit together in seconds, offering a great way to measure and skein your finished yarn. A great gift for a spinning or knitting friend!